Successfully Added DOOGEE Titans 2 DG700 Rugged Smartphone - Quad Core 1.3GHz CPU, 8GB Memory, 4.5 Inch 960x540 IPS OGS Screen, OTG, Smart Button to your Shopping Cart. 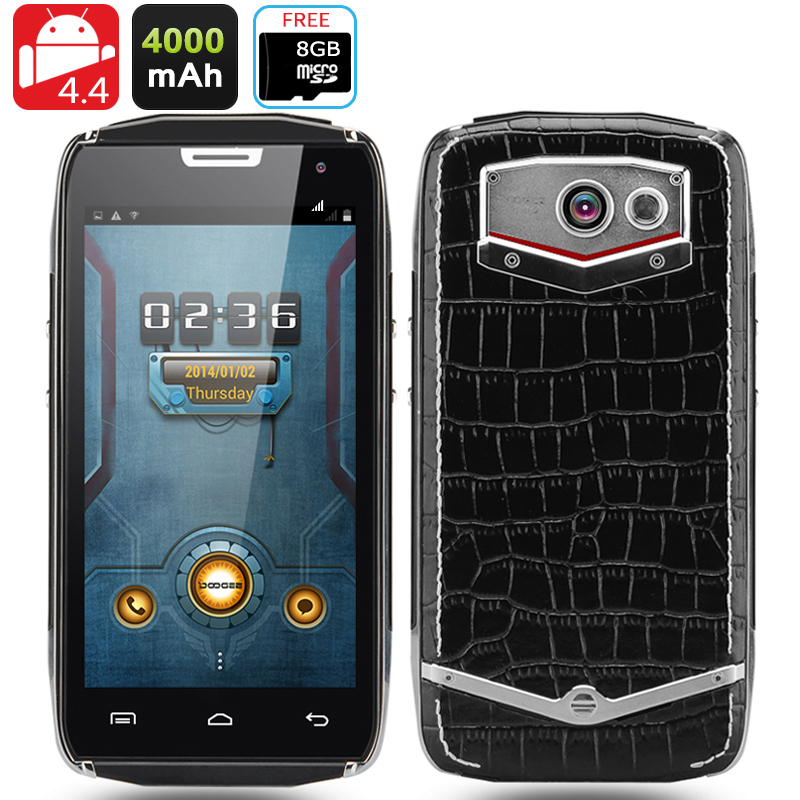 DOOGEE Titans 2 DG700 Smartphone uses a Quad-core 1.3GHz CPU, 1GB RAM and has 8GB of memory, a 4.5 inch 960x540 screen and runs Android 4.4 OS as well as having a smart button. The DOOGEE Titans 2 like its Greek namesake, describing an order of divine deities is a powerful phone with an Adonis like body that bring a touch of luxury to this latest offering from the DOOGEE brand. The exterior of the DG700 Smartphone has a crocodile skin inspired back, reinforced metal frame and rugged manly features that allow it to withstand dust and make it water resistant as well as shockproof. There is a special smart button that can be configured to give access to your most desired app. With a 1.3GHz Mediatek MTK6582 processor and 1GB of RAM, its smart credentials are more than skin deep and enough to handle normal tasks and most games making it a very capable device. 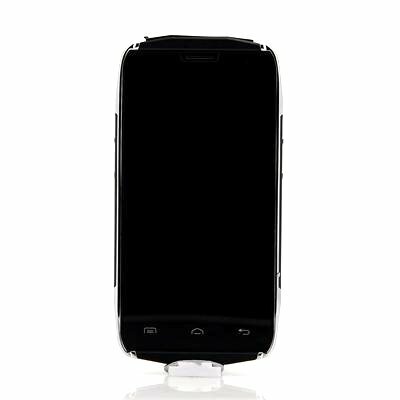 Intelligent wakeup and other gesturing motion features for easy call answering as well as the Android 4.4 OS make this phone really intuitive to use. Interaction through the 4.5 inch IPS OGS screen offers delightful viewing at 960 x 540 resolutions and fast responsiveness to your every touch. You get a 5 megapixel front and 8 megapixel rear facing camera for all your photographic needs and 8GB of internal storage for your files and documents. If you need more space the micro SD card slot provides the option to add up to 64GB of extra storage. With a whopping 4000mAh battery you get up to 12 hours of talk time making this a great device for the business person or entrepreneur who is on the phone for many hours a day and with two WCDMA/GSM SIM card slots you can manage two numbers through this one device for personal and business use. The battery is a big plus and with this hardware setup it should easily see you through the weekend without needing a recharge. This product is in stock now, we guarantee next working day shipping and offer a 12 months warranty on all our products. Brought to you by the leader in electronic devices and wholesale rugged Android phones, Chinavasion. Have not been brave enough to subject it to the abuse I have seen in vids online, I am very happy with the unit. Particularly impressed with the extra protective packing of the unit.